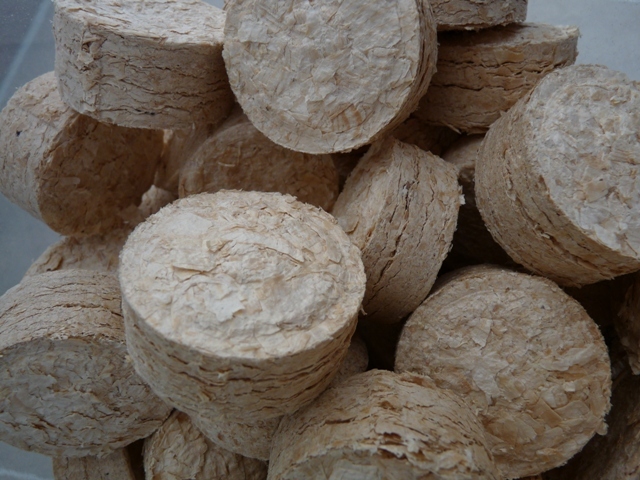 Quality range of Briquette Presses helping you reduce your volume of waste! This range of briquette presses are able to briquette materials such as wood shavings, sawdust, wood chip or fine dust is mixed with others into stable, circular briquettes. 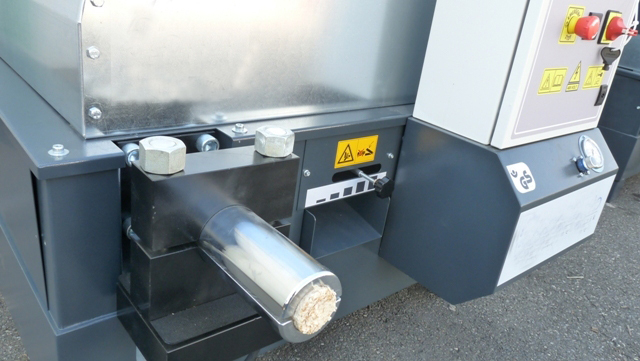 The material would need to be smaller than 20mm and less that 18% moisture content before filling into the hopper. This can be via manual method or the briquetter could be placed under one of our extraction units to be fed automatically. It is possible to tailor these briquetting presses to the individual customer requirements, with controls on throughput, briquetter length, briquette diameter and hopper size. An agitator rotates in the hopper to ensure the correct quantity of material is fed into the pre-compression unit and moved from there with a filling slide into the pressing block. Then the material will be compacted by the plunger of the compression cylinder into a briquette. The machine can be operated either in manual or automatic mode. All control and switching valves and the hydraulic motor are arranged in a compact block design. 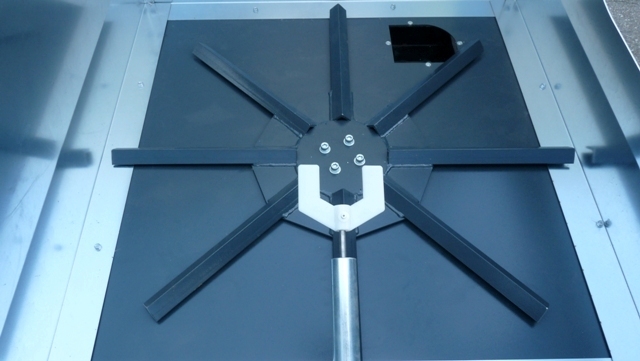 The base of the machine stand is a stable body, which also serves as a container for the hydraulic oil. 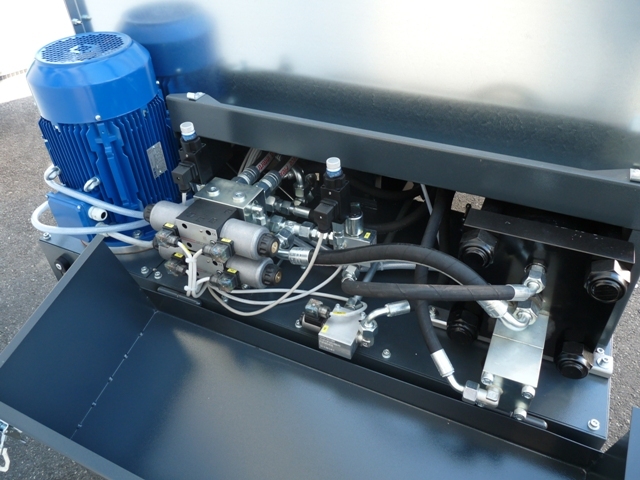 Due to the widespread distribution of the hydraulic oil heating is reduced.